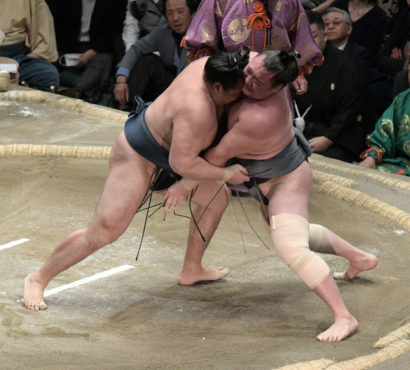 Lundi, le yokozuna Kakuryu a conservé son avance avec une victoire facile sur le maegashira 4 Arawashi pour cette neuvième journée du tournoi. 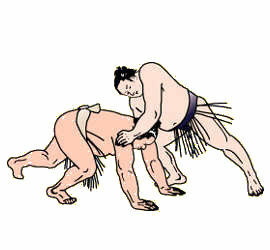 Le seul yokozuna en lice continue sa course parfaite en chassant en quelques instants son compatriote mongol avant de l’envoyer rapidement hors du dohyô. 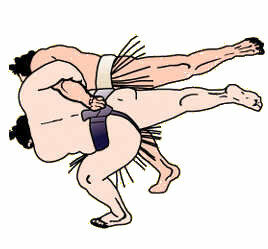 Arawashi, qui avait remporté son dernier combat contre le yokozuna, a terminé la journée avec un score de 4-5. Le sekiwake Mitakeumi et le maegashira 3 Tochinoshin, qui ont tous les deux débuté la journée à 7-1, se sont rencontrés pour se départager. Le Géorgien s’est imposé mais s’est fait peur quand il a faillit être jeté par le sekiwake. Au lieu de cela, Tochinoshin a utilisé toute sa force pour soulever son adversaire de 164 kilos pour le déposer à l’extérieur du cercle. Le maegashira 13 Daieisho, qui a débuté la journée avec une seule défaite, a été conduit vers sa seconde défaite par Ishiura. Parmi les victoires les plus rapides de la journée, l’ôzeki Goeido a chargé le sekiwake Tamawashi (3-6) pour le sortir en 2,2 secondes, améliorant son score à 6-3. L’ôzeki Takayasu (6-3) a remporté une nouvelle victoire en battant Shodai (4-5). 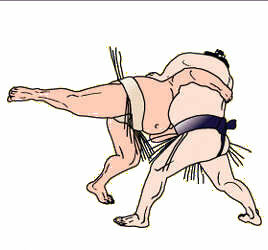 Le maegashira 1 Ichinojo (5-4) a utilisé son avantage de 60 kg pour se débarrasser du komosubi Onosho (4-5), attrapant rapidement le lutteur de 155 kg par le bras pour l’expulser. Le komusubi Takakeisho (3-6) a vaincu Hokutofuji (2-7). A 39 ans, le maegashira Aminishiki, le plus vieux lutteur de la division makuuchi, sera de retour demain après avoir manqué les trois derniers jours en raison d’une blessure au genou. 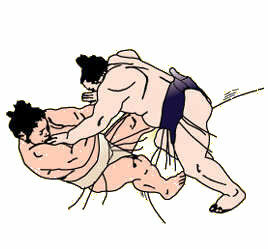 Yokozuna Kakuryu retained his lead with an easy victory over No. 4 maegashira Arawashi on Monday, the ninth day of the 15-day New Year Grand Sumo Tournament. 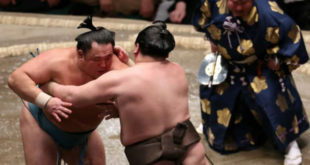 The only remaining yokozuna continued his perfect run at Tokyo’s Ryogoku Kokugikan, locked up briefly with his Mongolian compatriot before quickly dispatching him from the ring. 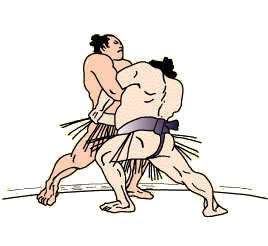 Arawashi, who had won his only previous bout with the yokozuna, ended the day with a 4-5 record. The other two yokozuna, Hakuho and Kisenosato, have pulled out of the tournament due to injury. Sekiwake Mitakeumi and No. 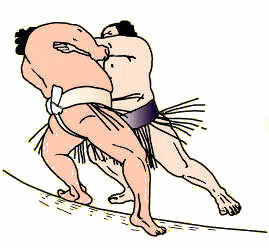 3 Tochinoshin, who each came into the day at 7-1, battled for second place with the Georgian ultimately winning out. 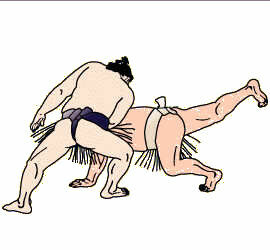 Tochinoshin avoided defeat when he was nearly thrown by the sekiwake. 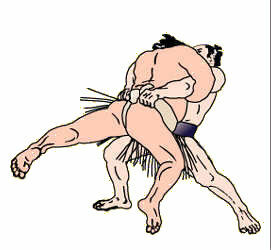 Instead, the Georgian used his brute strength to lift up his 164-kilogram opponent and gently place him outside the ring. No. 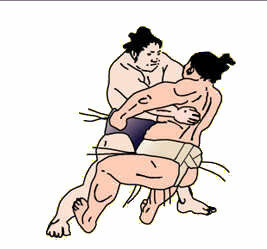 13 maegashira Daieisho, who also started the day tied for second, fell to 7-2 after being pushed out by No. 15 Ishiura. In one of the fastest victories of the day, ozeki Goeido charged sekiwake Tamawashi (3-6) out of the ring in 2.2 seconds, improving to 6-3. 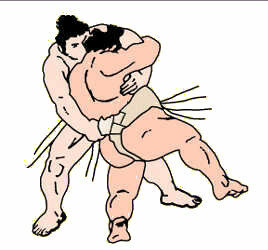 Ozeki Takayasu (6-3) added another win after coming hard and fast at Shodai (4-5), then thrusting him down by the arm when the No. 4 lost his balance attempting to counter. Top-ranked maegashira Ichinojo (5-4) used his 60-kg weight advantage to make short work of komosubi Onosho (4-5), quickly grabbing the 155-kg wrestler by the arm and throwing him out. 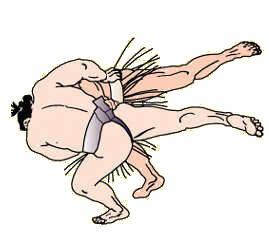 Komusubi Takakeisho improved to 3-6, after a shoving match with Hokutofuji (2-7). 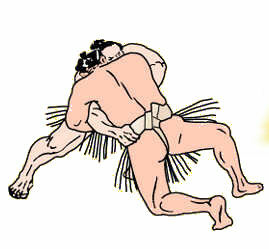 Takakeisho tried early to push out his opponent, but was driven back to the edge of the ring before using his force to push back and throw out the off-balance No. 1 maegashira. No. 10 maegashira Aminishiki, the oldest wrestler in the elite makuuchi division at age 39, will re-enter the tournament on Tuesday after missing the last three days due to a knee injury.